Dallas, Texas, October 30, 2015 — The Ambulatory M&A Advisor, an online publication focused on outpatient care, recently hosted the webinar “Examining Joint Ventures Between Hospital Health Systems and Urgent Care” and announces a complimentary recording of the program is now available for viewing. The webinar was sponsored by Ambulatory Alliances, LLC, a middle-market boutique investment banking and strategic advisory firm. The company is involved with both buy-side and sell-side focusing exclusively on healthcare services and more specifically outpatient centers and physician practices. The webinar featured a roundtable discussion between Steve Sellars of Premier Health, Joshua Kaye of DLA Piper, Lee Resnick, MD, of WellStreet Urgent Care, and Todd Latz of GoHealth Urgent Care. 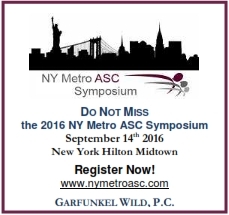 The Ambulatory M&A Advisor hosts regular urgent care and ASC business-related webinars. To be informed of future programs, email richard@ambulatoryalliances.com. To view the webinar, follow the YouTube link below. Also, feel free to spread the link around on LinkedIn, Facebook, and Twitter. Todd Latz, CEO, GoHealth: Prior to joining GoHealth, Todd was the CEO of MedQuest, Inc., a leading owner, operator and manager of diagnostic imaging facilities, with over 75 centers in 8 states and multiple health system joint ventures. Under Todd’s leadership, MedQuest also provided management and billing services to integrated health systems, physician practices and ambulatory surgery centers. Joshua Kaye, Partner, DLA Piper: Joshua Kaye concentrates his practice in healthcare mergers and acquisitions and the development of innovative business models within the healthcare industry. Joshua advises clients in all aspects of federal and state healthcare regulatory matters, including anti-kickback, self referral laws, state licensure, Corporate Practice of Medicine and Dentistry, Certificate of Need, insurance laws and HIPAA. Lee Resnick, MD, CMO WellStreet Urgent Care: Lee A. Resnick, MD is an accomplished healthcare executive, entrepreneur, educator and thought leader. He has held diverse leadership positions in healthcare operations, organized medicine, medical education and clinical leadership. Dr. Resnick leads the national effort to bring academic rigor and clinical excellence to the discipline of urgent care medicine. He was the founding national program director for the only clinical fellowships in urgent care medicine and serves as Editor-In-Chief of The Journal of Urgent Care Medicine, the discipline’s only peer-reviewed journal. He is also the founder and president of the Institute of Urgent Care Medicine, specializing in the development of continuing education programs designed specifically for urgent care medicine. Steve Sellars, CEO, Premier Health Urgent Care: Steve Sellars is CEO of Premeir Health Urgent Care. Premier Health owns and operates urgent care and occupational medicine facilities through joint-venture relationships with hospitals and physicians, provides urgent care consulting and operational management services, and owns real estate (medical facilities). 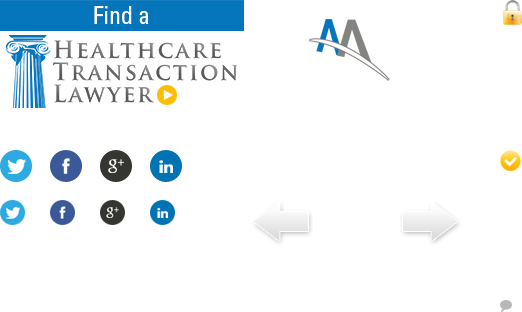 The Ambulatory M&A Advisor (wwww.ambulatoryadvisor.com) is a publication that covers business, legal and transactional updates and insights around ambulatory care center deal making. It focuses exclusively on topics for those interested in mergers and acquisition tactics, strategies, processes, dealmakers and the interrelated activities of buying and selling outpatient care centers. Ambulatory Alliances LLC is an investment banking and strategic advisory firm that specializes in the healthcare field. Some of the services that Ambulatory Alliances LLC offers include investment banking, M&A brokerage, Joint Venture structuring and negotiations, due diligence, transactional and financial advisory services, syndications, capital raises, divestitures, valuations, real estate transactions, business transaction negotiations.